SkyNet has extensive experience building wireless infrastructures for municipalities and counties participating under the Rural Connections program. SkyNet provides a complete turn-key solution and provides services that include initial consultation, engineering design, tower building, radio configuration & installation and complete project management. If you are a candidate to qualify for the next round of OMAFRA funding under the Rural Connections program and wish to tour one of our recent builds in Southern Ontario, please contact us at: ruralconnections@skynetip.com . Rural Connections is a program led by the Ontario Ministry of Agriculture, Food and Rural Affairs (OMAFRA). In 2007 the Government of Ontario announced that it would be providing funding in the amount of $10-million toward rural municipalities in Southern Ontario that are in a high state of readiness to build and sustain broadband capability in their communities. Affordable, accessible and efficient broadband access for public and private sectors in rural areas will provide communities and individuals with opportunities to fully participate in the knowledge economy, thereby stimulating citizen engagement, job growth and economic diversification in rural communities. Strategic investments in broadband infrastructure will help rural municipalities foster partnerships and pursue innovative approaches to promote economic development and improve access to government programs and services. Broadband, or high-capacity Internet, is used to send or view large amounts of information, including live video and audio, via the Internet. This can bring people in different regions closer together -- from a doctor in Vancouver and a patient in Tofino to a grade three class in Corner Brook and a science centre in Halifax. While this would be next to impossible with Internet access over a regular dial-up phone line, broadband provides the support needed to view or participate in these opportunities. However, while many Canadians are connected to broadband services, not all Aboriginal, northern and rural communities have access. With the emergence of the 3G and WiMAX standards, multi-point wireless systems are becoming a viable option for last-mile access. SkyNet's wireless Ethernet solutions provide a competitive alternative to enterprise solutions for private line Ethernet and TDM services below 5-10 Mbps. Our solutions respond to the critical backhaul needs of service providers by providing ultra low latency, native Ethernet, 800 Mbps wire speed product with the ability to rapidly and easily expand their geographic market coverage. 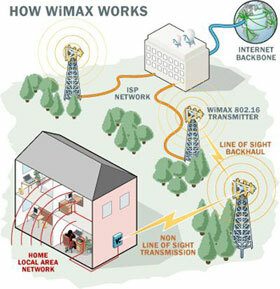 This is done in common carrier licenses, saving expensive WiMax and 3G licenses for customer access. 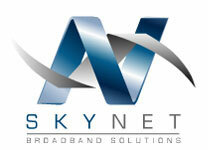 SkyNet solutions offer both licensed options, where predictability and availability are important drivers and unlicensed options in the relatively low interference 24 GHz unlicensed band. Our solutions are well-suited for WISP applications, enabling low initial cost, with small upgrade costs, as bandwidth requirements increase due to increased market share.